Punjab Chief Minister Mian Shahbaz Sharif has approved to rename the Metrobus Authority to Punjab Mass-Transit Authority while the award of contract for the cleanup of Rawalpindi-Islamabad Metro Bus Project was awarded to Rawalpindi Waste Management Company. The approval was given by the chief minister while presiding over the 6th meeting of Punjab Metrobus Authority on Wednesday. Punjab Metrobus Authority managing director gave a briefing on the matters relating to the authority while Rawalpindi commissioner informed the meeting about the progress on Rawalpindi-Islamabad Metro Bus Project. The meeting gave approval to changing the name of Punjab Metro Bus Authority to Punjab Mass Transit Authority and an amendment will be made in the act of Punjab Metro Bus Authority for renaming it as Punjab Mass Transit Authority. Approval was also given in the meeting to give the contract of cleanliness of Rawalpindi-Islamabad Metro Bus Project to Rawalpindi Waste Management Company while Punjab Metro Bus Authority will be responsible for the operational management and maintenance of Rawalpindi-Islamabad Metro Bus Project. The meeting also granted approval to operating feeder routes on the route of Lahore Metro Bus Project. 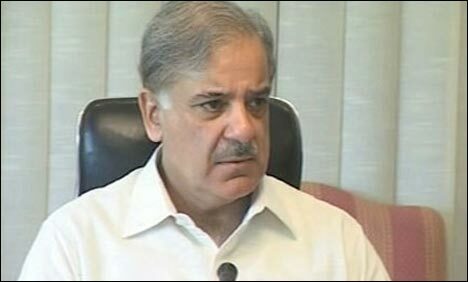 Addressing the meeting, Shahbaz Sharif said that Punjab government is implementing a revolutionary programme for the provision of modern, safe and economical travelling facilities to the masses and effective measures have been taken for the improvement of transport system. He said that more than 150,000 people are benefiting daily from the splendid project of metro bus in Lahore which has also given a new identity to the city. He said that the measures taken for improvement of transport system have yielded positive results. He said that Rawalpindi-Islamabad Metro Bus project is in the final stages of completion and 68 buses will be plied on the route. He said that Rawalpindi-Islamabad Metro Bus project will result in provision of speedy and economical travelling facilities to the people of the twin cities. The chief minister said that initial preparations have also been started for metro bus project in Faisalabad while the foundation stone of Metro Bus Project in Multan will soon be laid.